from smugglers in November 2017. Its Comptroller, Alhaji Usman Dakingari, disclosed this on Friday in Katsina while briefing newsmen on the activities of the unit. 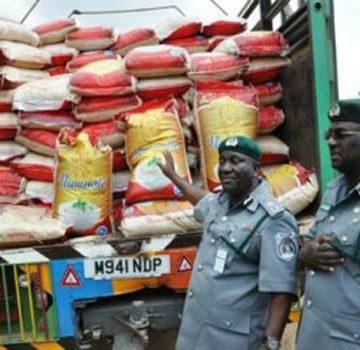 He said that the unit also seized 209 cartons of spaghetti, 181 bags of sugar and 461 jerry cans of vegetable oil. He said other items seized included 79 cartons of mosquito coil, 157 bales of second-hand clothes and six vehicles pointing out that all the seized items have Duty Paid Value (DPV) of N652.9 million. He said that the items were seized from smugglers in Katsina and other states under the jurisdiction of the unit during the period under review. 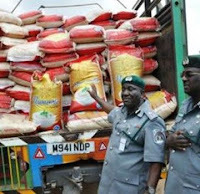 ‘’We will continue to ensure that foreign rice and other prohibited commodities are not smuggled into the country,’’ he said. Dakingari, however, expressed concern over the attitude of some people at border communities that engaged in the illegal smuggling activities as means of their livelihood. ‘’If you tell them that smuggling is bad they will tell you that what business do you want them to do or this is something they have inherited,’’ he said. He, therefore, stressed the need for other stakeholders to intensify efforts toward enlightening the border communities on the dangers associated with smuggling on the nation’s economy and health of the people.